Kiwi Lumber is a privately owned New Zealand company operating three modern sawmills located in the North Island of New Zealand. 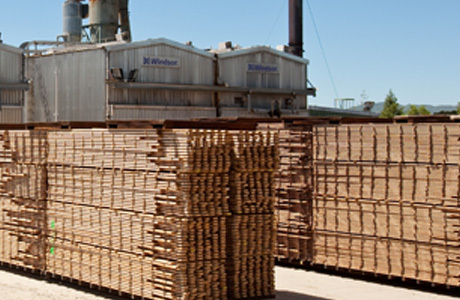 Our three mills located at Putaruru, Dannevirke and Masterton have a combined production of 120,000 m3 of sawn timber output per annum, with the capacity to kiln dry and planer finish all of our production. Our modern sawmills are strategically situated close to the large commercial plantings in the Hawke’s Bay/Wairarapa and the Central Plateau of the North Island. These areas represent significant commercially grown forests, which are well serviced by professional contractors, harvesters and forest managers to ensure that customers have access to some of the best renewable timber resources available. Kiwi Lumber produce an extensive range of products that are specific to the needs of our domestic and international customers. 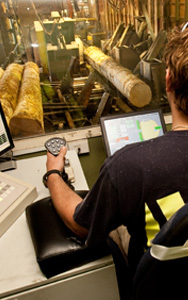 By providing a consistent quality of resource along with the use of modern technology and systems, Kiwi Lumber is able to produce a diverse ranges of products to stringent quality and service standards. The radiata pine milled by Kiwi Lumber is sourced entirely from renewable plantations and complies with all New Zealand environmental management policies. Kiwi Lumber’s two Appearance Grade mills are also FSC certified meaning that you can rely on our wood products always being sourced from well managed forests. Our production is wholesaled through New Zealand as well as a range of export markets that include North America, Europe, Australia, Asia and the Pacific Islands. Kiwi Lumber does not sell product direct to consumers. The team at Kiwi Lumber is committed to understanding the needs of our customers and working with them to formulate product specifications that improve their competitiveness. This dedicated and experienced team is continually focused on doing the best we possibly can, fulfilling our commitments to our customers and providing them with a product range that they can rely upon.